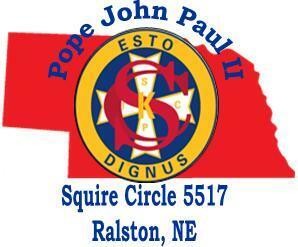 The Columbian Squires is the official youth organization of the Knights of Columbus. 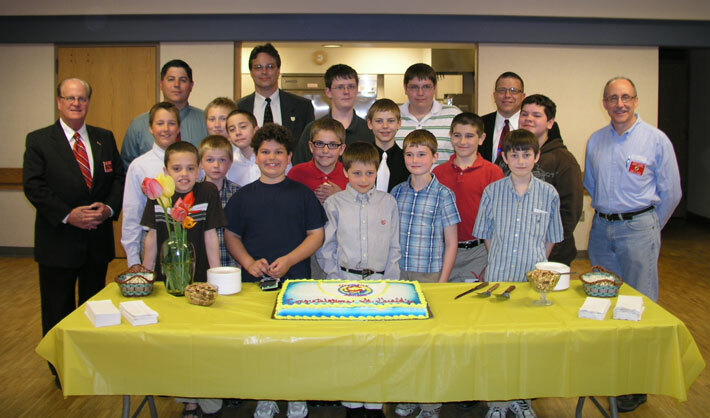 The organization promotes the Catholic faith, service to others and provides leadership training and moral guidance to young men between the ages of 10 and 18. Squires continue the connection between youth and the Church during a very important time in their lives. Teaches young men how to take responsibility for their actions as individuals and leaders. Provides growth in areas such as decision making, delegation of responsibility, administration, public speaking, public relations and financial responsibility. Teaches young men that there are people in the community who need assistance and by working with their Circle and the Knights of Columbus Council, they learn the lesson of charity. Creates an environment which encourages thoughtful consideration of what they will do with their lives, in terms of a career or vocation. Provides a training ground for future Knights. Squires participate in a wide variety of activities that are focused on providing service to the parish and the local community. Religious activities include the opportunity to learn to serve at Mass, increasing their knowledge of the Catholic Faith, and praying for vocations to the priesthood and the religious life. There are fun activities as well. Adult leadership and supervision are provided by members of the Knights of Columbus Council here at St. Gerald's. Active involvement allows each youth to participate and learn more about their parish. Join us to learn how to help with fish dinners, church & school projects, car wash, movie nights, game nights, fishing trips and other community activities. 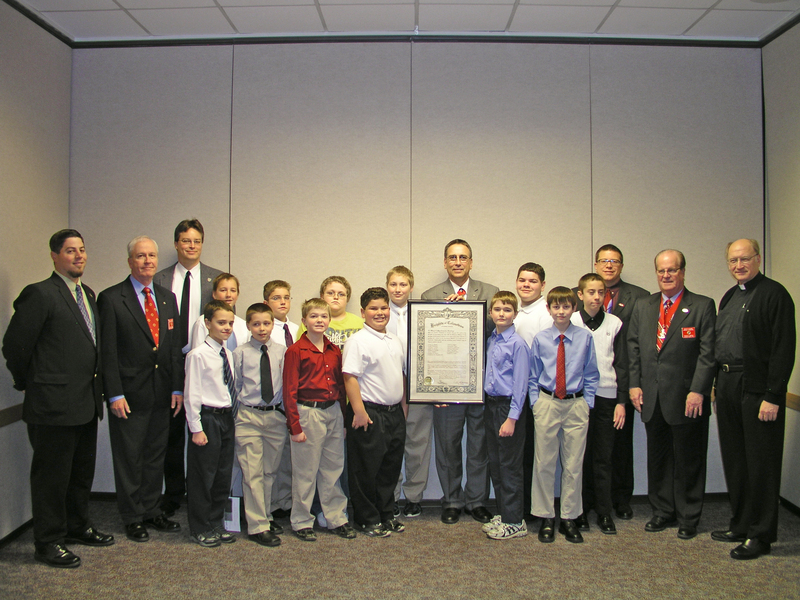 It is a great opportunity for young men to develop leadership skills, practice their Catholic faith and help others. There is a Squire Advancement Program that consists of five levels: (1) PAGE, (2) SHIELD BEARER, (3) SWORDSMAN, (4) LANCER, and (5) SQUIRE OF THE BODY OF CHRIST. If anyone missed the article in the Knights of Columbus Courier magazine about the Circle formation, here is a link. Fr. William A Foster Knights of Columbus Council 9518 Site: Click Here! Nebraska State KC Site: Click Here! KC Supreme Council Site: Click Here! KC Supreme Squire Site: Click Here! Nebraska Squire Site: Click Here! Squire Newsletter Site: Click Here! Squire Photo site: Click Here!